The time has come again to induct someone into the Construx Wall/Hall of Fame (d/b/a Mt. 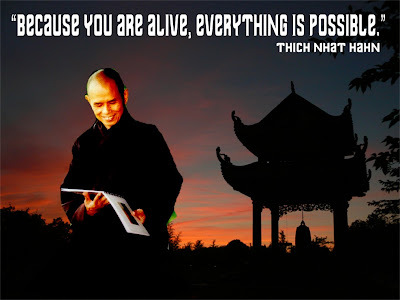 Construxmore) and my choice is Buddhist (Zen) monk, teacher, author, poet and peace activist Thich Nhat Hanh. 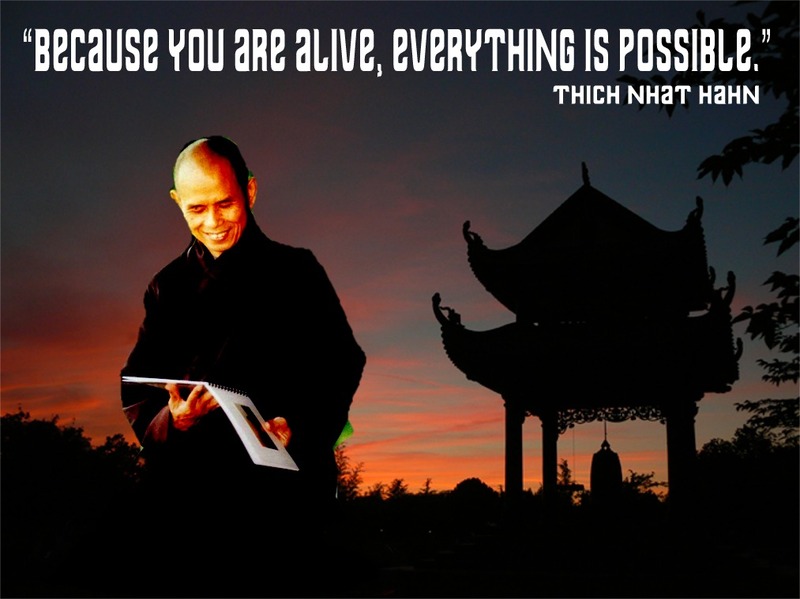 If you want to read about Thich Nhat Hanh his Wiki article is HERE. Our picks are, in part, about the person but also about how that person affects us as a whole. The three words on the picture we use for our inductees are INSPIRE, ENTERTAIN, and INNOVATE and Thich has inspired me profoundly throughout the last decade of my life. When I first moved in New York I was very depressed leaving family and friends behind. I went into a situation out of desperation and as a person who just simply ran out of choices. I used to sit at a sketchy laundromat and write about terrible things and without anyone to listen to me I used to write letters to my grandparents. My grandma (na-na) is a very religious woman. It was such a point of heavy contention as a child with my parent's personal agenda against organized religion that even to this day heavy piousness makes me uncomfortable. She wrote back to me in response to just a fraction of the real stories of alcoholism, self abuse, and loneliness that I had to believe in "something". She said I don't care what you believe in, believe in "something" and that I was in need of some type of guidance that didn't require a bottle or can. I knew that Christianity wasn't for me, it was too full of fallacy, misunderstandings, and I didn't particularly have any positive experiences with people from "the church" finding them wicked as me but guilt-free. One day I saw an advertisement for a local Meditation Center in my town and only a few minutes away from my house. I thought I owed it to myself to check it out. The center was Buddhist to my surprise and they handed out literature and had that weird sense of intrusion that kept me away from religion to begin with. I wanted to leave, this wasn't my scene for sure but I decided that my current path I was walking down wasn't working and it was maybe time to try something outside my usual routine. I stayed and meditated uncomfortably for almost an hour. I wandered around after the session and the head teacher asked me how I liked the session. I told him it made me curious about Buddhism and what exactly it was. The teacher suggested a few books and let me take them home. The one book that was given to me was "Anger, The Wisdom of Cooling the Flames" by Thich Nhat Hahn. I read the entire book that night. On page 2 he penned, "In order to be free of anger we have to practice, whether we are Christian, Muslim, Buddhist, Hindu or Jewish. We cannot ask God, Buddha, Jesus, or Mohammed to take the anger from our hearts we need to practice to do these things ourselves so that we are capable of helping others." Buddhist theory wasn't about magic ghosts, giving yourself over to someone, being humble and humiliated. It was about looking inside of yourself with the ultimate goal of helping others. This was something I could get behind. I bought the book the next day and kept it close to my heart ever since. I've read other books by other monks, practitioners and even other esteemed religious leaders but no one else has the genuine tone that Thich Nhat Hahn does. His goal is a peaceful mind for anyone who seeks it. He speaks to all religions (which he makes clear in his public speeches). He emphasizes being happy with yourself, being mindful in all of your actions, and just to enjoy YOUR life. His books have profoundly shaped my adult life. They have instilled conviction in my thought process and has created "the paul with no name" within my psyche. I always take his lessons into consideration when I am making choices that will profoundly ripple through my life. I have gone to the previously mentioned book more than once in times of crisis and Thich's simple but profound words have always seemed to be perfectly applicable to what's going on at the time. An induction into our Hall/Wall of Fame is merely a symbolic kindness towards an exceptional person in our lives and Thich Nhat Hahn has shaped a substantial part of me and who I currently am. It's very doubtful I will ever get a chance to meet him but I feel that maybe spreading his kind words to others would be exactly the type of gratitude he'd appreciate.